Spinal stenosis is the narrowing of the spinal canal that occurs during the aging process or as a result of injury to the vertebrae. The decrease in available space along the spine is caused by arthritic changes, the development of bony spurs, and bulging or herniated discs. Nerve compression commonly develops, and patients may feel pain, numbness, and tingling along the back and into the extremities. Traditionally, surgeons have performed a lumbar laminectomy, or removal of the offending lamina portion of the vertebra, in order to release pinched nerves. Often, the physician will add support to the operative site by following the laminectomy with spinal fusion surgery. The future of surgery for spinal stenosis patients is geared toward alternative surgical methods that allow for more motion than what is normally experienced after spinal fusion. 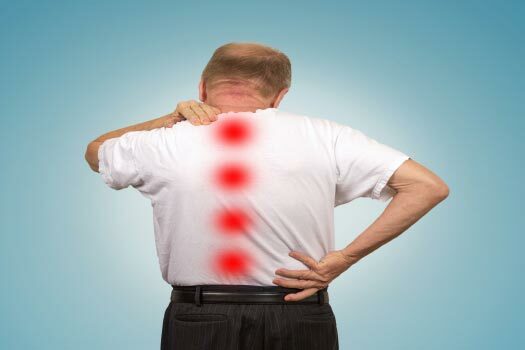 These innovative devices are designed to bring the affected part of the vertebral column back to a more normal position and thereby release compressed nerves. The appliance is placed between the two bony prominences of the spine, or spinous processes, and the vertebrae are placed back into a more natural curve. The need for resecting bone becomes unnecessary, and patients enjoy more post-recovery range of motion. The apparatus does limit the individual’s ability to bend the spine backward. Depending on the condition of the patient, the procedure can be performed under general anesthesia or with IV conscious sedation and a local anesthetic. People who have spinal stenosis symptoms that are caused by the degeneration of the facet joints of the spine may benefit from facet replacement. In this type of surgery, the joints are replaced with artificial substitutes that help bring the vertebrae back to a more natural position thereby releasing compressed nerves. The appliance is comprised of an alloy, and the back of the device is covered in a special material that promotes the patient’s natural bone to grow into the structure. Unlike spinal fusion surgery that keeps the repaired segments in a fixed position, the new devices, like the Mobi-C artificial disc, allow more freedom of movement for patients. If you’ve exhausted conservative spine treatment options and are wondering if surgery might be the next step, learn more about your options by scheduling and in-person consultation with a highly qualified Beverly Hills spine surgeons at The Spine Institute. For more information, call (310) 828-7757 today.